students and teachers alike in all twelve Ab Initio language courses. 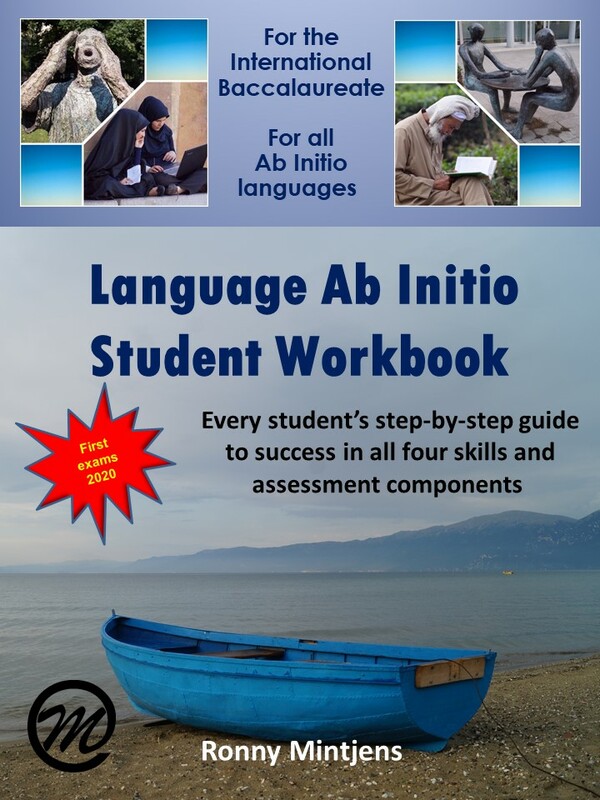 The Language Ab Initio Student Workbook covers all the components of this language acquisition course and provides a step-by-step guide to the various assessments. Each component is broken down into its various parts and plenty of advice and practice are provided in order to ensure that the student is fully prepared when it matters most. This workbook focuses on reading, writing, listening and speaking and is supported by online resources. The introduction of a personal Portfolio helps the student create an ongoing record of their learning and allows them to manipulate the language according to the assessment tasks, the formats and the criteria. By making language learning fun and personal, the Ab Initio student will find a great deal of motivation to create, share and reflect on content and culture in the target language. ​At the same time, the Ab Initio teacher will save a lot of class time and will also find plenty of opportunities to differentiate their teaching as well as their expectations in every student's achievement levels.